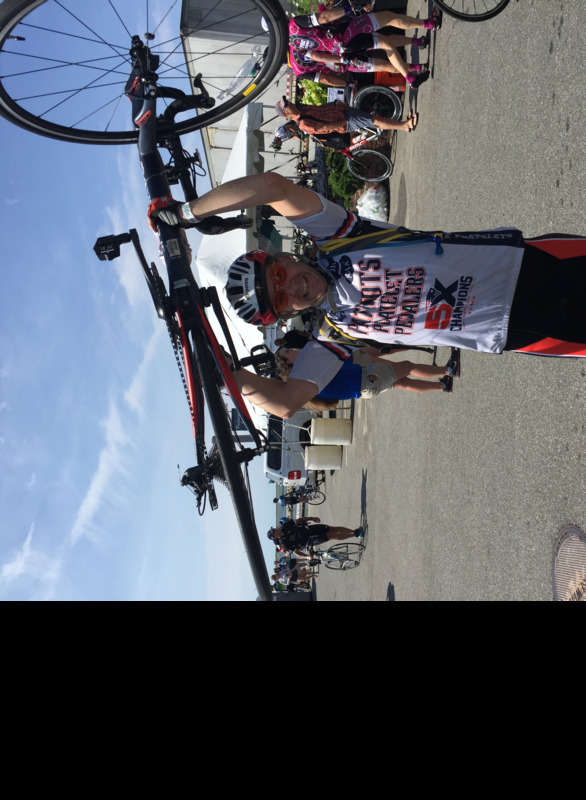 I will be cycling in the 2018 Pan Mass Challenge (PMC), which is a 196 mile ride from Sturbridge, Massachusetts to Provincetown, Massachusetts for the 9th year on August 4th and 5th. I do this ride to raise money for the Dana Farber Cancer Institute and The Jimmy Fund. I owe my life to both. The work it takes to complete this ride does not compare to the dedication these folks put into curing cancer! This is why I ride and raise money for the PMC. As many of you may know, I am a cancer survivor. At age 8 I was diagnosed with Leukemia and treated at Dana Farber. I suffered a stroke, was in a coma for months, and had to relearn to use my body and my non-dominant hand. I had to endure a lot to survive! I know how hard the folks at Dana Farber work, and the care and quality service they give to their patients. This is one of the finest cancer research centers in the world! In addition to owing my life to Dana Farber, I ride for my mother, my grandparents, and my many friends who I have lost to cancer. As many of you also know, I ride for my mom who was diagnosed with kidney cancer. She battled it for about a year with the support of Dana Farber. However, she was not as lucky as her son. Although I was left with a tremor in my right arm, I am still here. I ride the PMC in my moms’ honor. 2018 will be the 39th anniversary of the PMC! Since its inception in 1980, the PMC has raised over $598 million dollars so far for Dana Farber, raising $51 million last year alone! I am a proud member of The Patriot Peddlers Team and I feel privileged to join my team on this ride each year. I RIDE FOR YOU MOM! You can go online to www.pmc.org and click on e-gifts. It will ask for my name, and you enter “Ryan Ford”. Follow the easy instructions on the page and it will then prompt you to make a donation in my name using your credit card. Love you Ryan! Enjoy your ride and good luck!